Substance abuse whilst breastfeeding comes in all ways, shapes and forms. Many moms out there are made aware of the dangers of alcohol, cigarettes and illicit drugs whilst pregnant, but are you aware of the knock-on effects substance abuse can carry through whilst breastfeeding? Even if you know you shouldn’t, are your aware of the effects each substance can have on your lactation and child? Read on below now to discover everything you need to know about substance abuse whilst breastfeeding. Yes, caffeine is classified as an addictive substance, right up there with the likes of nicotine and alcohol. Many mums who crave a cuppa joe in the morning may not be aware of the implications of caffeine and their babies. The transfer of caffeine into breast milk differs from mother to mother, as some ladies are able to absorb and eradicate the drug from their systems easier than others. However, if you are consuming three or more cups of a caffeinated beverage per day, you will probably face a reduction of iron in your breast milk. Studies have shown than three or more cups of coffee per day result in an iron deficiency in breastmilk compared to mothers who consume less or no caffeine at all. In the long run, this could cause your child to become anemic. Furthermore, babies whose mothers are heavy caffeine drinkers (moms who consume 300g of caffeine or more – which can be found in three cups of filter coffee) have been observed to be more jittery and irritable, as well as suffering from poor sleeping patterns. Next on our list of substances we have nicotine. Many moms know they should quit smoking whilst pregnant, but not many are aware that even their partner smoking can have a negative effect on their infant. If you still smoke, or are surrounded by second hand smoke whilst breastfeeding, you stand a chance of transferring nicotine into your breastmilk. Furthermore, studies have shown that mothers who smoke are likely to produce lowered volumes breastmilk compared to women who don’t. as for your baby, if you are smoking five or more cigarettes per day, your child has a heightened chance of developing colic. Furthermore, nicotine will actual change the flavor of your milk, which may make it unappealing to your baby. Even if you bottle feed your baby, children who live in a home where their parents smoke are more susceptible to gastro-intestinal and respiratory illnesses. The scariest of all however, is the fact that babies who live in a home where smoking is permitted are at a heightened risk of suffering SIDS (sudden infant death syndrome). 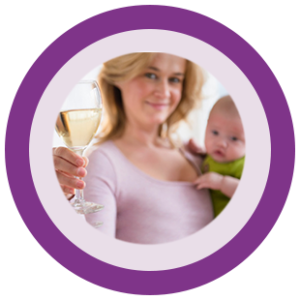 Many mums know that they should not drink and breastfeed in close proximity to one another. But do you know why? Alcohol is easily transferred into breastmilk by simple diffusion. Since your baby will be experiencing liver immaturity, they will not be able to break down the alcoholic content as quickly as an adult body would. This can lead to problems in your child’s psychometric development. Furthermore, that one sneaky drink decreases your milk volume by about 23%. Also, alcohol prohibits your body from producing oxytocin. This is a hormone which aids in the milk ejection reflex. As you can see, enjoying even one drink can have a negative effect of both you and your child. Now that you are more in the know about how substance abuse whilst breastfeeding can affect you and your baby, you should be able to know when you need help. If you feel you are battling to kick a bad habit, don’t be embarrassed to seek help. 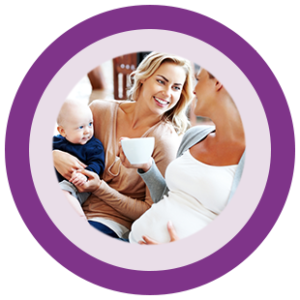 If you’d like to learn more about breastfeeding, be sure to get in touch with the Breastpumps & Beyond team today! We host regular workshops for all mums and show you everything you need to know. If you’re shopping around for a breast pump, or anything linked to lactation you may need, we have you covered. Take a look at what our store holds for you today and enjoy the ease of breastfeeding.